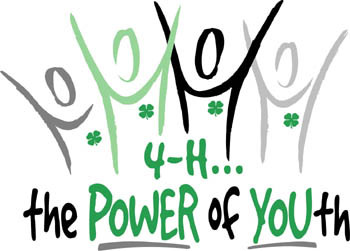 4-H is the largest youth organization in the United States with more than 7 million participants. 4-H is best identified by its green four-leaf clover with an H on each leaf. The four H’s on the emblem stand for Head, Heart, Hands, and Health. 4-H is the only youth organization based at land-grant universities and the first experience many youth have with higher education. How can I join NC 4-H? Join a 4-H club that’s in your area! Start a 4-H club . . . just 5 members and an adult is all you need! Join a special interest group–a group that gets together for a short time to learn about one thing, or to participate in one activity! Enroll as an individual and explore the project of your choice! In your school, look for 4-H school enrichment programs! How do I go about joining a 4-H club in Guilford County? The first step is to take a look at the active clubs we currently have using our interactive map. Click on the Clovers or on the list on the left-hand side to see a description of each club. Visit a club meeting or activity and meet the members and leaders. We do recommend that you contact the leader(s) of the club you would like to visit to confirm the meeting location and time. Register through the 4-H Online System. Learn new skills, meet new friends, and HAVE FUN! Email List and Monthly Newsletter – Join our mailing list! Why should I be interested in 4-H? Because you get to “Learn by Doing” and meet new friends that share your interests. You can participate in projects where you make something, develop a skill, raise and/or train an animal, join a virtual club with kids from anywhere in the world! There are numerous projects available to you, including foods, clothing, public speaking, models, aerospace, wood science and livestock. You, as a 4-H member, decide what you want to learn and do as you explore your project. This allows you to move at your own pace, and gives you important skills in setting and working toward goals. You don’t have to join a club to be in 4-H, but it is the most popular way to participate. Clubs generally meet once or twice a month on a regular schedule, which is determined by the members of the club. During meetings you learn how to accomplish the goals of your projects, how to run a business meeting, and how to do demonstrations about your projects. The clubs may plan recreational activities, community service projects, fundraisers and field trips. As a 4-H club member, you have the opportunity to meet new people, make new friends, learn about projects, and participate in club trips and activities, and more. Each club is unique, as YOU determine the focus of your own club. Contact Peggie (plewis@ncsu.edu) or Lauren (lrallen@ncsu.edu) in the 4-H Office. • All Horse Fans Join Our Award-winning Team! • 4-H Iron Chef Contest Is Back!